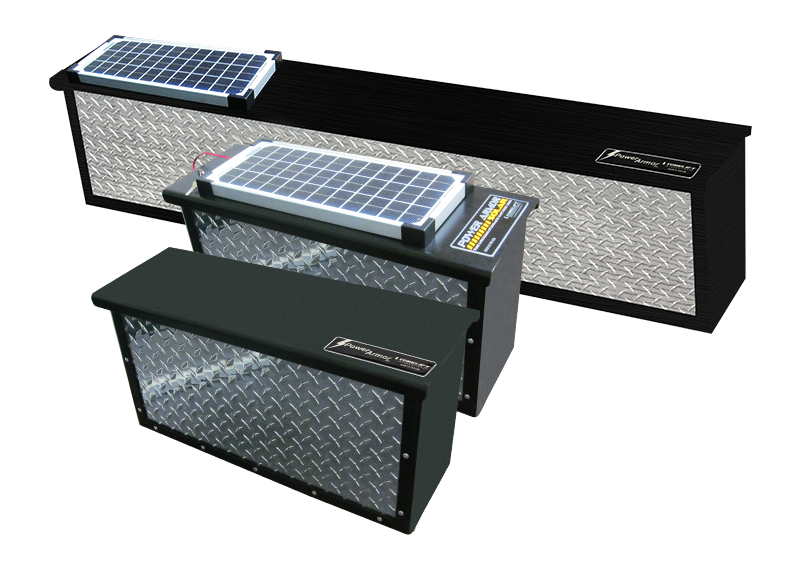 Torklift International's PowerArmor line features high quality locking aluminum battery boxes. 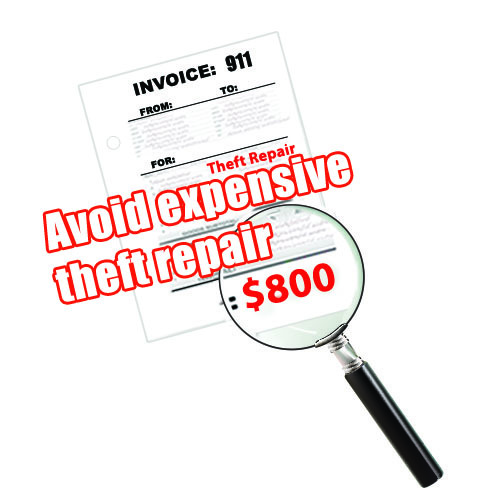 With RV battery security in mind, each locking battery box was specifically engineered to prevent increasingly common battery theft and related damage to wiring from 'cut and run' thefts. 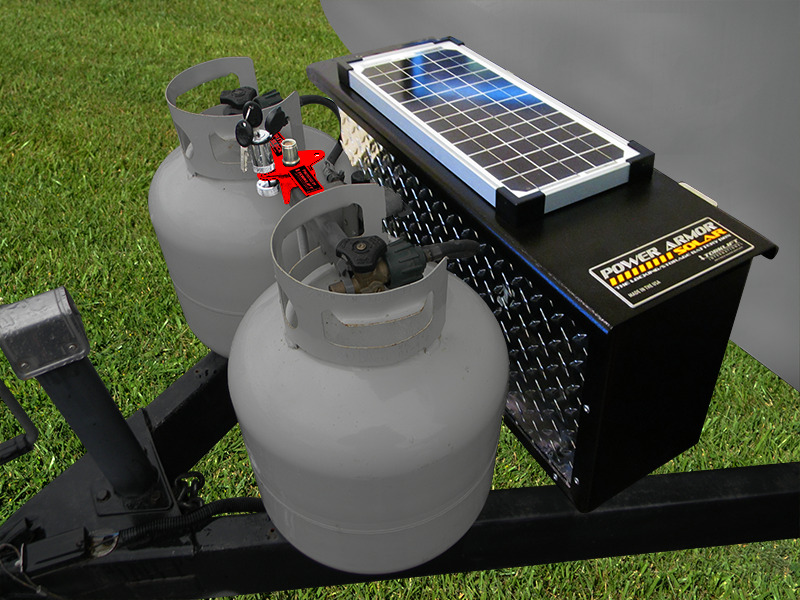 Keep expensive batteries under lock and key with PowerArmor and PowerArmor Solar’s secure RV battery boxes. The PowerArmor battery boxes provide safe lockable storage and are available in multiple box sizes. Enjoy a secure compartment for storing up to five batteries, various gear or other equipment. Box sizes accommodate a multitude of battery types, including both 12 and 6-volt battery applications. The design incorporates a unique lockable slide top (lock included) for quick, easy access, no matter your mounting location. 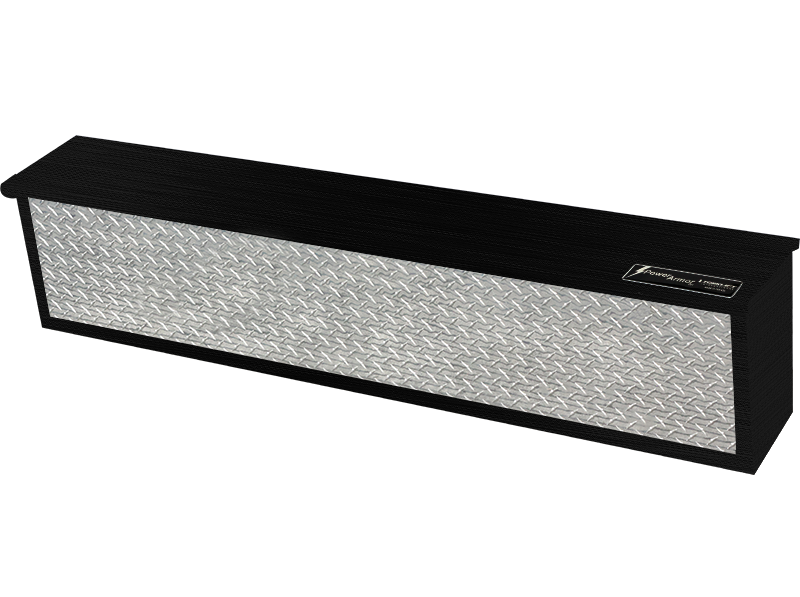 Made from 100% heavy gauge diamond plate aluminum with black high impact powder coat frame, the PowerArmor storage box can bolt directly to your RV, boat, trailer tongue, camper bumper, etc. If you have only one battery that you need to store or keep safe from the elements, you’re in luck! 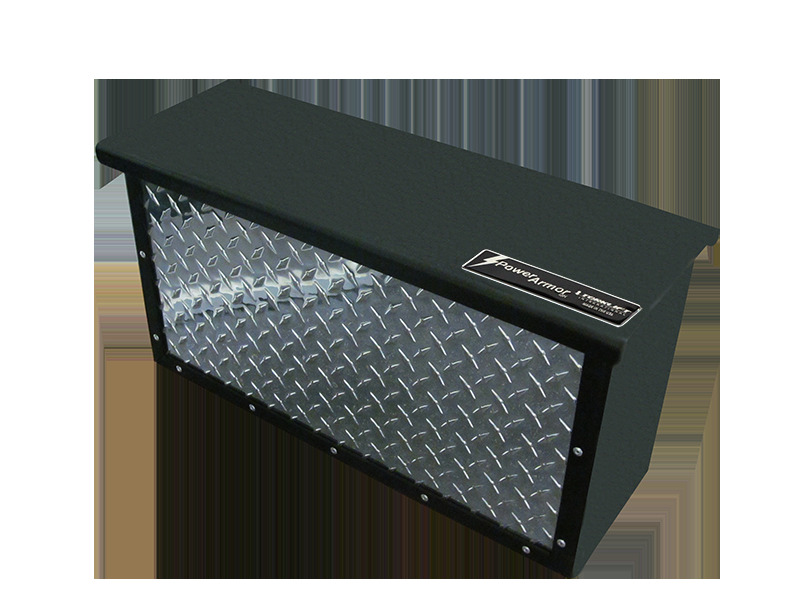 The new PowerArmor Single* battery box (A7720R/A7720RS) is designed at 17 ¾ in length. 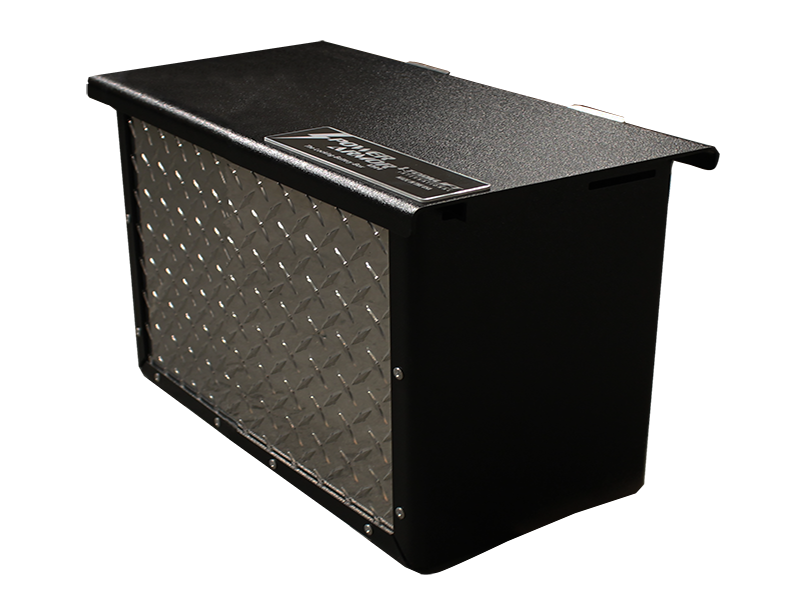 This smaller, more versatile size of diamond plate battery box is perfect for marine and boat trailer applications when it comes to battery storage and security. While out on the water, use the extra battery as a backup power source for operating electrical accessories, navigation lights or playing music while the boat engine isn’t running. 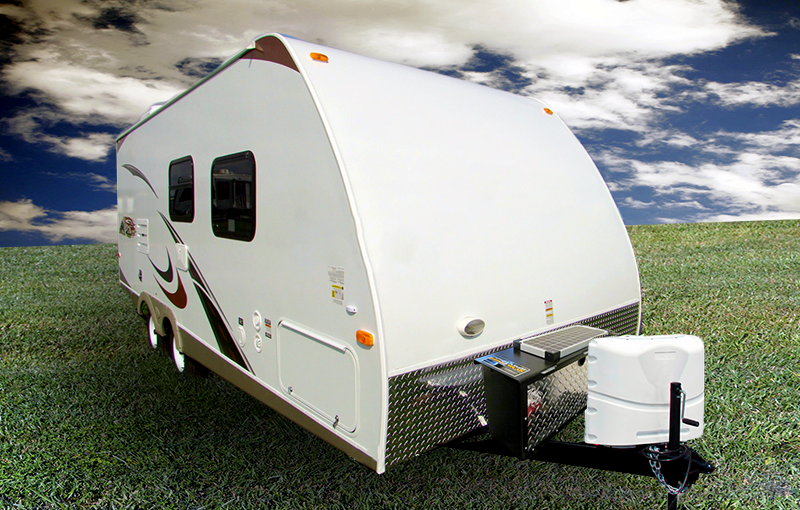 When using the PowerArmor to store batteries, you benefit from having extra battery power for your RV, boat, truck camper or vehicle. An access port allows for electrical wires to pass through the side wall of the box so it easily connects to your electrical circuit system. With battery health and performance in mind, the locking battery box features a special ventilated design and acid neutralizing battery mat. To extend the life of your batteries up to 400% and prevent premature battery replacement, opt for the PowerArmor Solar battery box, also available in the single size application. 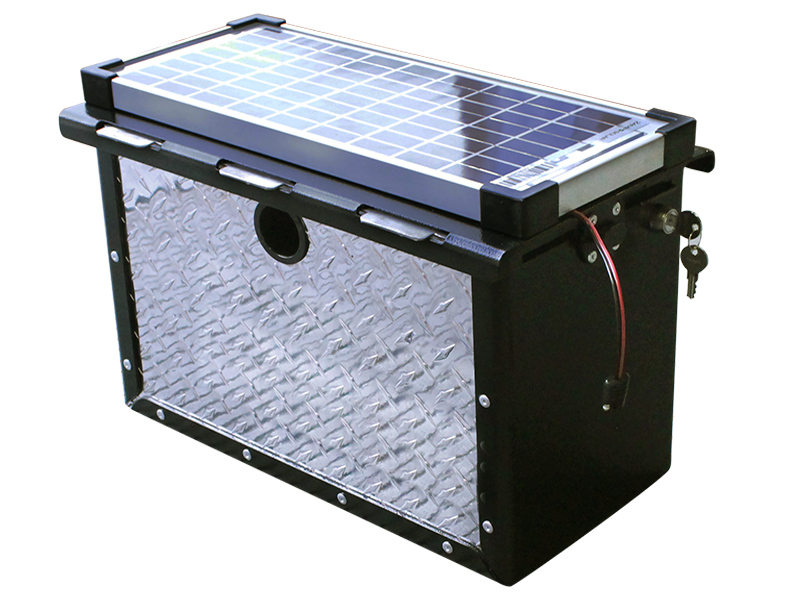 With a 10-watt solar panel securely bolted through its lid, solar energy trickle charges the batteries helping keep them in optimum condition year round. Batteries sitting in storage over the offseason may suffer from sulfation (caused by undercharging) which results in permanent negative effects on battery performance. Easily maintain your batteries without overcharging or undercharging, keeping them in great condition, lasting longer and saving you money. Even without direct sunlight, the high quality Zamp solar panel on PowerArmor Solar absorbs reflective light to continually generate charge. Each PowerArmor locking battery box comes with Torklift International's Legendary Lifetime Warranty and is proudly made in the USA. *Important: When running less than two batteries per solar panel, a 8-amp Regulator is required to prevent potential overcharging. The 8-amp regulator is sold separately and recommended for use with PowerArmor Single Solar (Part# A7720RS). Bolts to your RV, camper bumper, boat, truck, van, etc. 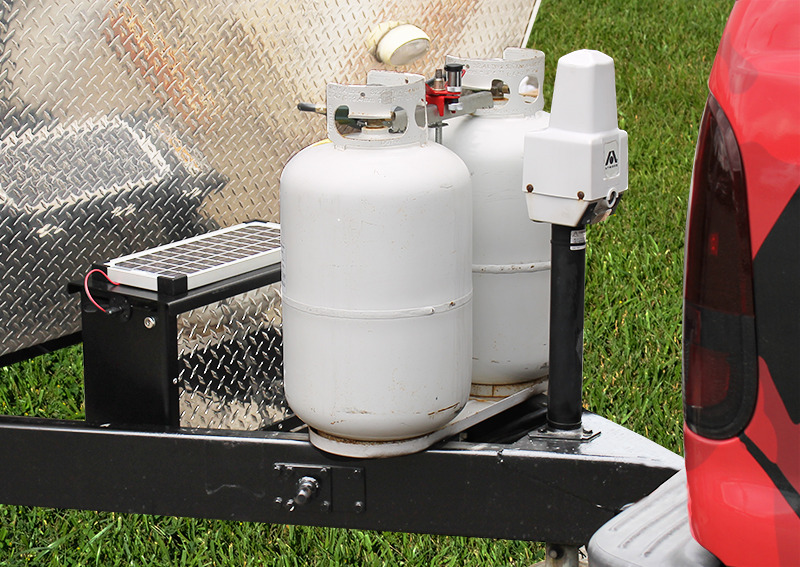 * Can hold up to two Group 24-31 batteries with ample room to store additional hitch or RV towing-related equipment by utilizing the storage dividers, or as many as four Group 27 or 31, or five Group 24 batteries.